The deadline to register to vote for Atlanta's upcoming local election is October 10th. This year Atlanta will vote on a new Mayor, City Council, and School Board. Atlanta is currently at a critical stage of growth and this election presents its residents with a major crossroads. This next group of leaders will decide the future face and culture of our city.Voter turnout in Atlanta is low. 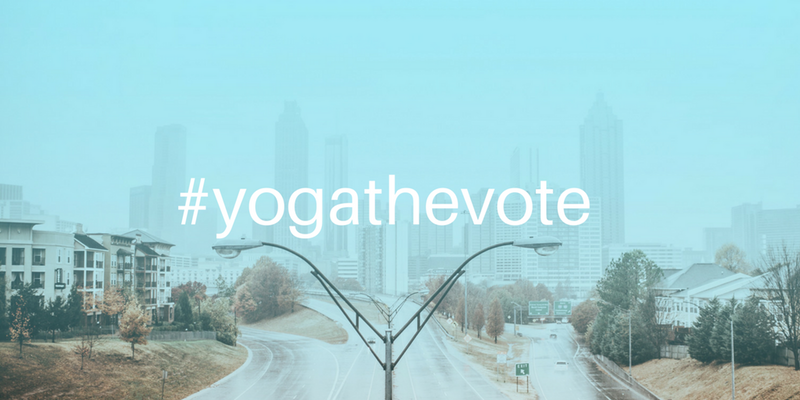 Let's use our platform as yoga teachers, leaders, and enthusiasts to inform and increase voter turnout. We are throwing a party to make sure you are registered to VOTE. This event will include a yoga class, an interactive, engaging Civics 101 class, food, refreshments, music...Fun! Register to VOTE and shape the future of our city! CIVICS 101 Workshop: Why Should Creatives #votelocal this November?